Solutions for All Roof Types! Metal, TPO, Rubber, Built-up, & More! 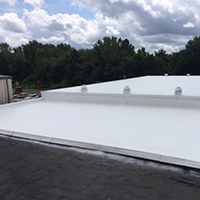 Our roof coating systems provide a seamless, waterproof membrane for your structure. They offer up to Class 4 impact resistance, and Class A Fire resistance. Quality protection is of upmost importance. 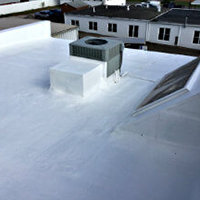 Conklin products add years to a roof’s life. They hold up against hurricane-force winds, hail, sunlight and more. 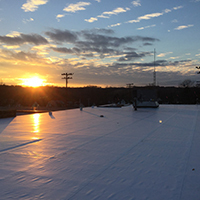 When you choose to protect your facility with our durable coating, you receive a barrier with up to 85% solar reflectivity, which can save up to 30% in annual energy costs! Our roofing systems are backed by renewable, non-prorated warranties on material and labor costs! Your warranty issues are fully covered for up to 20 years! For the last decade E&E Construction has provided the best commercial roofing services to clients throughout Ohio, West Virginia, Kentucky and Indiana. Our passion is what drives us to provide excellence, along with affordable prices. By pairing Conklin Roofing Products with our impeccable workmanship, we offer clients the best roofing services throughout the region. 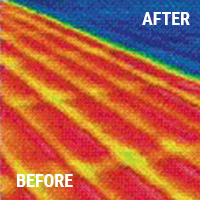 Our goal is to provide each customer with the peace of mind they deserve, knowing their roof is safe and water-tight. Let us show you the E&E Construction difference. Call today to learn more!